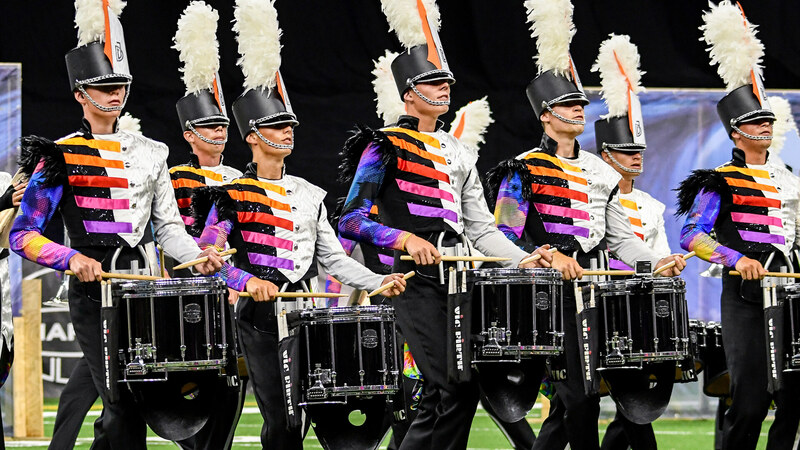 After wrapping up a tour of the U.S. and trip to the DCI World Championships this August, Dutch corps Jubal has added Drum Corps Europe (DCE) Champion to its list of 2018 accomplishments. The corps from Dordrecht, The Netherlands held a strong lead at the annual event held in Kerkrade on Saturday, September 29, finishing more than two points ahead of the nearest competition. Following success at the Dutch Music Games two weeks ago, Saturday marks the corps’ first DCE title since 2013, breaking a streak of four straight years that United Kingdom corps have walked away victorious. “Proud? You can say that again!” Jubal director Hans Kloppert posted on Facebook following his group’s win at Parkstad Limburg Stadium. Part of that pride surely comes from Jubal’s score of 92.500 out of 100 points, which marks an organizational best as the group’s highest score in history. This year also marks Jubal’s fifth overall DCE Championship title, which ties the United Kingdom’s The Company for the most ever. On the judges’ sheets, Jubal took home honors for top scores in the field music, percussion, visual and music captions. Taking second and third places respectively was the 2017 defending DCE Champion The Company (2nd, 90.700) and the Kidsgrove Scouts (3rd, 90.300). The two corps from England swapped places after Kidsgrove managed to finish ahead just a week earlier at the Drum Corps United Kingdom Championship. While The Company received caption awards for auxiliary and front ensemble percussion, the Kidsgrove Scouts managed to earn the same for general effect. Other Premier Class DCE finalists included Juliana (4th, 84.300, The Netherlands), Spirit of 52 (5th, 82.400, Germany), Starriders (6th, 78.900, Germany), Beeches (7th, 78.250, United Kingdom), Cadence (8th, 75.950, United Kingdom), Blue Diamonds (9th, 73.30, Germany), and Calypso (10th, 68.050, Belgium). Gefeliciteerd Jong Jubal! 10e maal DCE Europees kampioen. Another feather in the Jubal organization’s cap on Saturday included a win in DCE’s Junior Class division by Jong Jubal. The corps finished with a score of 83.100 ahead of Dutch corps Johan Friso (2nd, 77.550) and Jong-Holland Junioren (3rd, 66.250), in addition to Germany’s Diamond Cadets (4th, 63.250). Impressively, 2018’s win marks the third straight for Jong Jubal and the junior corps’ 10th in the last 15 years.